Print Works Bistro offers a variety of private dining options with full service catering services for Proximity Hotel’s event spaces with wonderful vistas for up to 200 people. The Weaver, Revolution, White Oak and Latham Rooms, plus four lobby level suites and our Social Lobby create 12,000 square feet of event space. For more information on booking private parties and special events, contact our Sales Team members at 336-478-9111. If you are searching for a special place for a group lunch (or breakfast) party, look no further! Host your party of 25-30 guests at Print Works Bistro with extraordinary flavors from our lunch menu or a limited menu designed especially for your group. 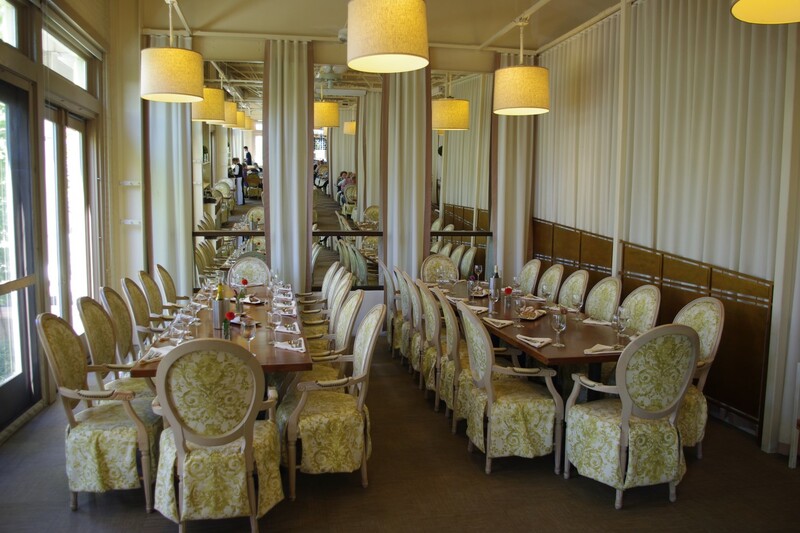 Enjoy time with friends and colleagues in our beautiful, sunlight-drenched “cosmopolitan” dining room. To make your planning easy, take advantage of reservations, call-ahead seating, and even pre-ordering. For more information, please call us at 336-379-0699. 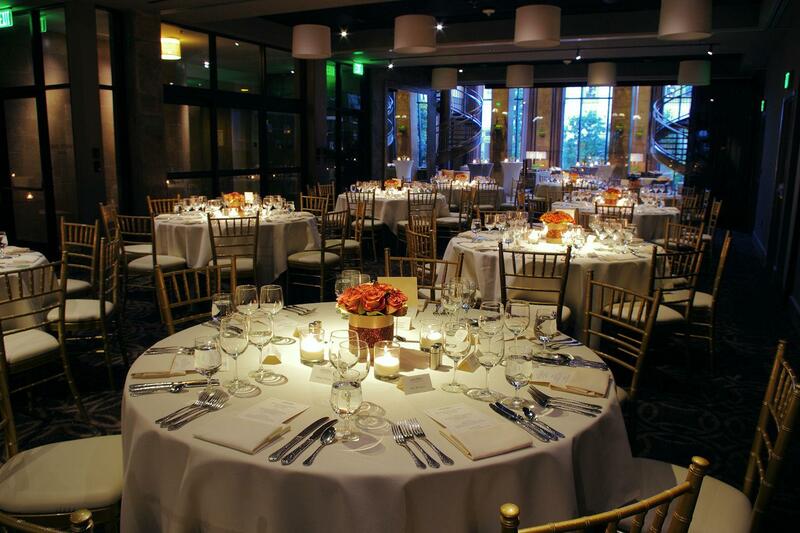 The Weaver Room is our largest event space and can accommodate up to 200 for a reception and 156 for a sit-down dinner. It easily divides into a second smaller space. Featuring high 12-foot ceilings, floor-to-ceiling windows, and access to an outdoor terrace, it is an airy, well-lit room which offers wonderful vistas of the Bluebell Garden and 2.5 acres of natural habitat. With operable windows, an open-air venue can be created. The Revolution Room opens onto is own outdoor terrace, and is surrounded by several operable 9 x 9 ft. windows, which allow natural light to permeate the space. It is well equipped for either a business meeting, banquet, wedding reception, bar mitzvah, or other gatherings, as it has a built-in conference call feature, LCD projector, and projection screen as well as a wet bar. 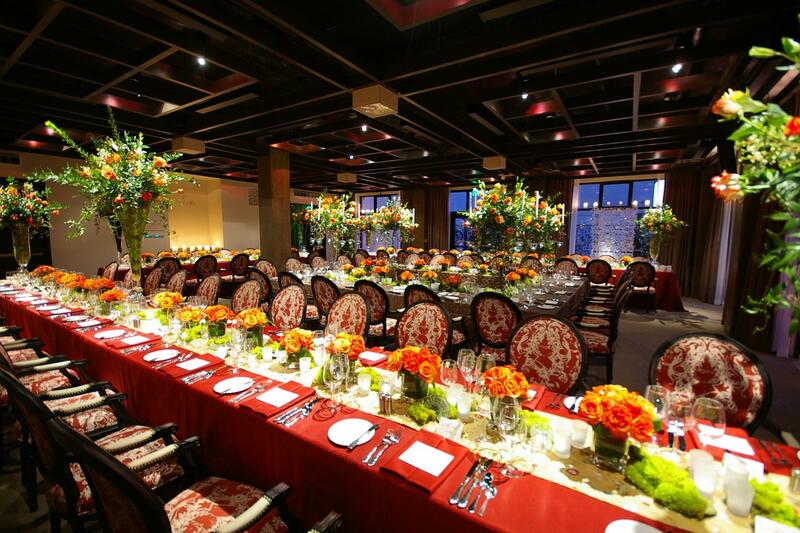 The area accommodates up to 72 guests for a sit-down dinner and 100 for a reception. 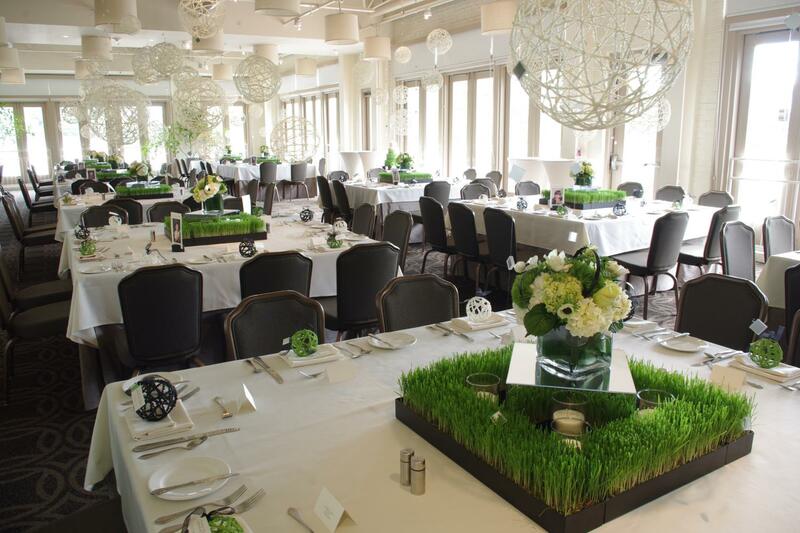 The White Oak Room is our second largest event room at 1,821 square feet and accommodates up to 125 for a reception and 96 for a sit-down dinner. It opens onto the 22-foot-high Social Lobby of the hotel and can be divided into multiple configurations. A movable glass wall can separate the event space from the Social Lobby with automatic drapes that can be closed for additional privacy. A spectacular setting for a social gathering, dinner, business meeting or ceremony. 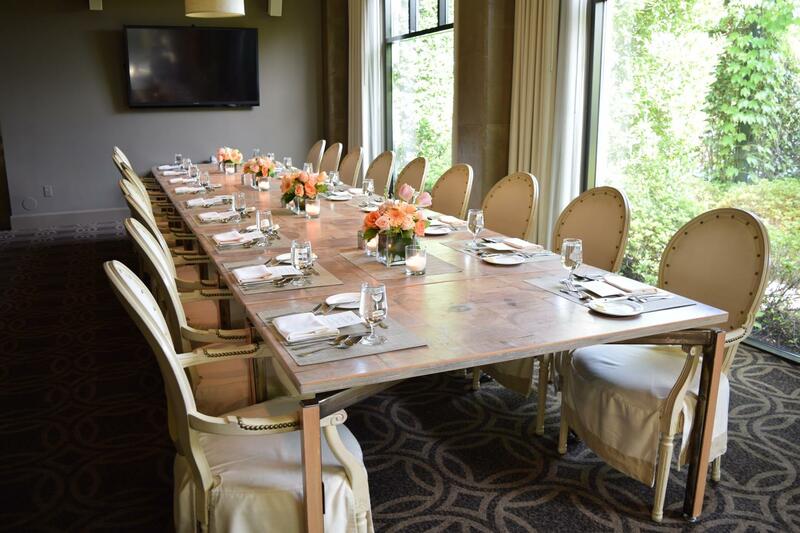 The Latham Room is our smallest event room at 660 square feet and accommodates up to 40 for a reception and 36 for a sit-down dinner. 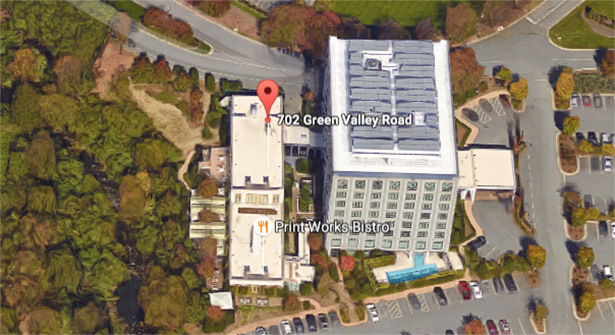 Featuring high 12-foot ceilings and nine-foot tall windows overlooking a lush garden, it is an airy and well-lit room. The Latham Room is equipped with a wall-mounted TV and audio visual capabilities. It is intimate setting has it’s own private entrance and is ideal for a business meeting, luncheon, social gathering or dinner.